Affordable, shared server starting at $9.50 per mo. Comes with Cpanel, FTP, Stats and Unlimited Email Accounts. Site Hosting with built in Private Online Media & CDN Service. Affordable, starting at $30 per mo. Comes with Unlimited Email and Complete WordPress Site Setup & Installation.Upgrade to get SSL, Media Player Pages for Roku, FireTV, XBox, WMP, WLC, iOS, PC, Android Devices.Learn More – Order Now! 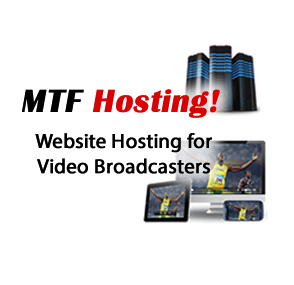 Go Viral with this Website Hosting for Online Media & Webcast Broadcasters.Affordable, Advanced Streaming starting at $80 dollars per month. Comes with cPanel, Unlimited Email, FTP File Storage–Supports both WordPress and Joomla CMS.Join our Advertising Partner Network.Virtual Server Connection Manager, MTF Media Manager,Media Player Setup and Support for Online Channel Connectors(Links and Media Player Pages for Roku, FireTV, XBox, WMP, VLC, iOS, PC, Android Devices. )Learn More – Order Now! 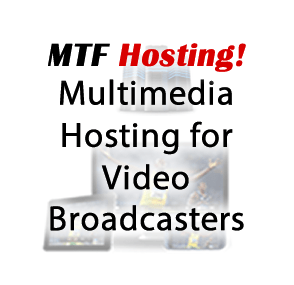 Multimedia Web Site Hosting (Audio & Video): Starts at $149 per month.Comes with cPanel, Unlimited Email, FTP File Storage – Supports both WordPress and Joomla CMS. Also connects to Virtual VM Windows Servers. We support both WordPress and Joomla CMS. Join our Advertising Partner Network. Learn More – Order Now! Experience Hosting Solution: Starts at $649 a month.Now you can enjoy the control of Dual Servers, Virtual VM Windows Server and cPanel Servers – LAMP and Windows Virtual Machines pre-set up for your Broadcasting capabilities. Our Virtual Servers are Capable of RDP, VNC, SSH. Our Broadcast Protocols HTTP, RTSP, RTMP, Onvif, MMS, Roku, FireTV Newsletter Engine SEO, Social Media Connectors, Google Analytics . Bundled Rendering Tools that run on Virtual Machines.Supports both WordPress and Joomla CMS. We support both WordPress and Joomla CMS.Virtual Server Connection Manager, MTF Media Manager, Google Analytics, Adwords, Adverting Partner Network, Multimedia File Library Storage, SEO, Social Media, Google Analytics, FTP, Also connects to Virtual VM Windows Servers. Supports both WordPress and Joomla CMS.Join our Advertising Partner Network.Learn More – Order Now! All packages come with upgrades for Media Player Pages such as Roku, FireTV, XBox, WMP, WLC, iOS, PC, Android Devices. MTFNOW! and MTF Hosting – Order Now! Check out our WordPress Plugin. “The first Open Source Media Network is here today; We’ve eliminated the barriers to operating your own Media Site. We offer a platform for Networks of Channels!